SMGD is excited to be working with the Macedonian Golf Federation on a pioneering golf development project. Talks are underway to introduce golf to Macedonia and develop a site in the capital of Skopje. Construction has started on redesign work at this wonderful golf club. Notable as the second oldest golf club in Italy, it is located just west of the lake Como township of Menaggio. The changes will include a number of new greens, bunkers and the reversal of two holes. The first two new greens will be in play in May. This month I was at the club to present plans to renovate the golf course. The first of the new greens opened in last month, and the next phase of the project is to adapt the remainder of the course to the modern game and the growing needs of the club. SMGD is working with P&K Golf Club to renovate their wonderful links for their upcoming centenary when they are due to host the Home Internationals in 2022. 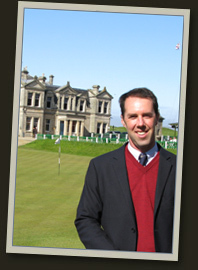 This is an exciting appointment for Scott and he is looking forward to updating the golf course to ensure it is fun for the members and challenging for the elite golfers. Established in 1905, Broomieknowe Golf Club is an old club firmly established in Edinburgh. SMGD is honoured to be working with the golf club to renovate their golf course to the highest standards, and is excited about the possibilities. It’s the first time changes have been made to the course since 1992 and when confirmed, the renovation is likely to confirm include bunker changes and some new greens. An update will be made to this post when the design plans are agreed. The Colt Course at Close House hosted the 2017 British Masters : 28 Sept-1 Oct.
Co-hosted by the European Tour and Sky Sports, this was the first time the European Tour has come to Close House, and the course provided an enthralling and attractive location for this prestigious championship. Congratulations to Ireland’s Paul Dunne in winning the British Masters at Close House. He held off a great charge from the exciting Rory McIlroy to thrill the crowd and win the title. Played over a new course opened in 2011, the Colt Course was designed by Scott Macpherson to reward accuracy and ball control. Colt Course ranked by Golf Monthly as a Top 100 golf course in the UK and Ireland – it is the only course in the North East of England to receive this honour. What the pros say: ; “It’s a solid golf course”, Sergio Garcia. “Close House is Beautiful.. it’s a beautiful golf course… if you hit good shots you’re going to be rewarded.” Rory McIlroy. This is the first time a prestigious European Tour has been scheduled to play on a SMGD course, and it was a delight to see how well the course played, and hosted over 60,000 spectators. So much great work went into the preparation of the golf course by the Head Green Keeper, Brian Clark, for the event, and it looked stunning. The greens ran at 10.6 for the championship. The routing sequence was renumbered for the event this week (due to the TV and hospitality infrastructure) so the 1st hole was the original 5th. On a course where every hole changes direction from the previous hole and which features notable elevation change, the leading golfers were the players who best controlled the spin and flight of their ball, who strategically plotted their way around the course, and who putted the best. 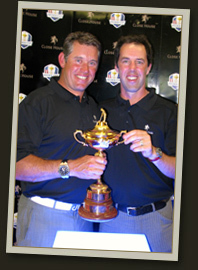 Well done to Lee Westwood for hosting a terrific event! 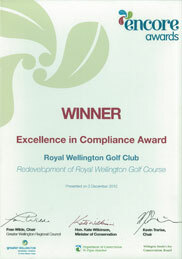 Royal Wellington Golf Club hosted the 2017 Asia Pacific Amateur Championship : 26-29 Oct.
SMGD is still excited about the prospect of designing a new golf facility in South Lanarkshire, Scotland (www.kersewell.com). It is a wonderful piece of property half way between Edinburgh and Glasgow and a considerable amount of effort has gone into finding the best routing for the course. Working with 2-time Major Champion Sandy Lyle to create the course will make the process all the more fun. ‘Golf’s Royal Clubs’ is a large coffee-table styled book published in 2014 to celebrate the 66 royal golf clubs around the world that have received the royal title from the British Royal Family. 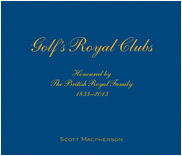 Commissioned by The Royal and Ancient Golf Club, the book includes the golf clubs Royal Melbourne, Royal St George’s, Royal Dornoch, or lesser known clubs like Royal Regina or Duff House Royal. 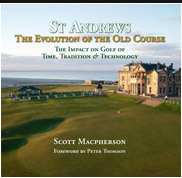 The book was shortlisted for the best illustrated book at the British Sports Book Awards, won the award for ‘Best Author’ at the 22nd International Network of Golf Media Awards in the USA, and in July 2015 won the Murdoch Medal from the British Golf Collectors’ Society. 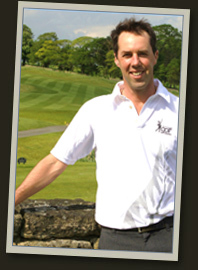 My design ethos is simple – I aim to create attractive golf course that provide fun for golfers of all abilities. I like golf holes to fit naturally into their environment, to look great, and inspire golfers. It is also important that my golf designs suit the business and recreational needs of my clients. It’s a real privilege to design 9-hole, 18-hole or short course facilities for resorts, private golf clubs and residential developments, and every project is a very special opportunity to create an inspired golf experience. Please contact us if you would like to talk about a golf course design project you think we might be able to help you with. In these cautious financial times, our focus is on delivering high quality designs at the most competitive prices.